Published by The Legacy Project. 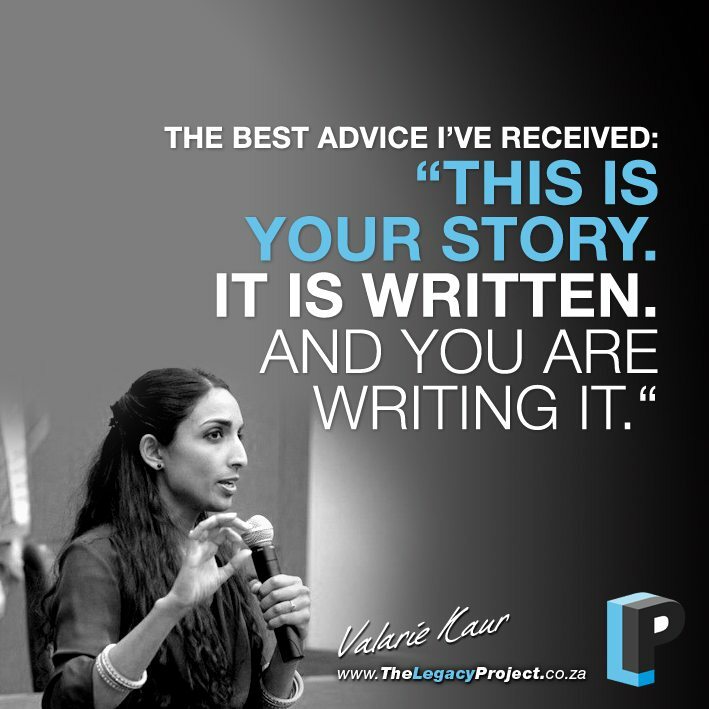 Valarie Kaur is a national interfaith leader, documentary filmmaker, and lawyer who centers her work around the power of storytelling. She is the founder of Groundswell at Auburn Seminary, a non-profit initiative with 100,000 members that equips people of faith in social movements. Working with students and communities, she has made award-winning films and led campaigns on hate crimes, gun violence, racial profiling, immigration detention, and solitary confinement. Valarie is a prolific public speaker on college and university campuses and frequent political contributor on MSNBC to the Melissa Harris-Perry Show. Her opinion essays regularly appear on CNN, The Washington Post, and The Huffington Post. 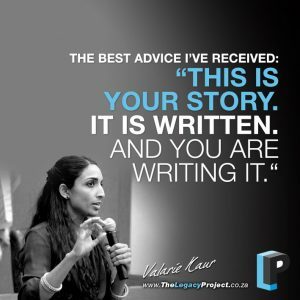 Valarie earned degrees at Stanford University, Harvard Divinity School, and Yale Law School, where she founded the Yale Visual Law Project to train students in the art of storytelling for social change. 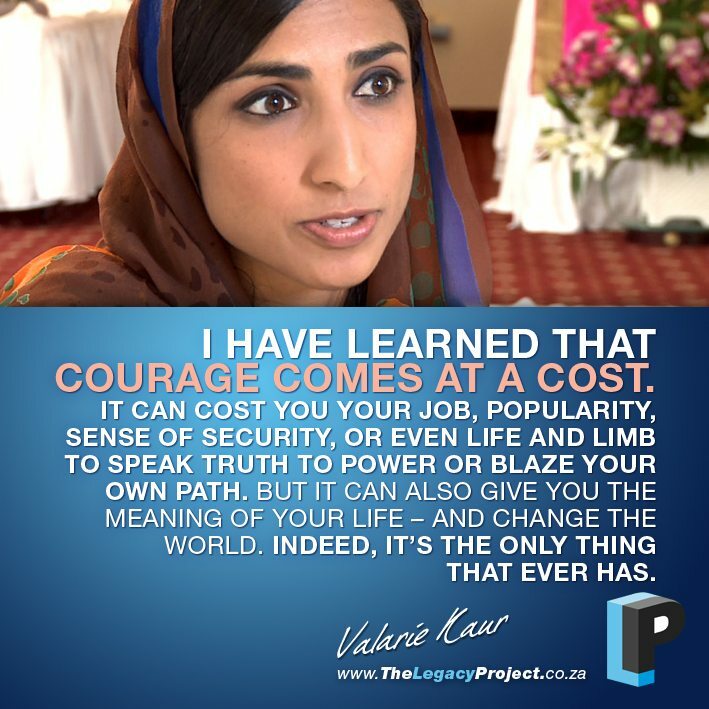 Valarie has been called “a stand-out figure in the world of interfaith organizing and activism” and “one of the most exceptional speakers and thinkers.” The Center for American Progress lists her among 13 national faith leaders to watch. In 2013, she was named one of eight Asian American women of influence, won a Person of the Year award by India Abroad, and delivered the Baccalaureate address for Stanford University. My Definition Of Success | Success is leading a whole-hearted life. I Am Driven By | I’m inspired by people who suffer from injustice – racism, poverty, homophobia, religious bigotry, gender violence, and other unspeakable pains – and still ask me how I’m doing. They drive me to pursue a lifetime career in public service. A Key Talent | When the world gets me down (which might be daily), I turn to my friends, family, and faith to lift me back up again onto the Sikh path of “Chardi Kala” – boundless optimism even in darkness, ever-rising high spirits even in hardship. Principles I Live By | The way we make change is just as important as the change we make. When we are angry at those who disagree with us, make decisions out of fear and a sense of scarcity, or drive our bodies into the ground with stress, we inhabit the very dysfunctions we are trying to change in our society. To make a lasting difference, we must embody the health, wellness, non-violence and kindness we want to see in the world. How I Use My Mind | “The arc of the moral universe is long,” said the Rev. Dr. Martin Luther King, “but it bends toward justice.” Injustice has gone on long before we were born and will continue after we die. But while we are on this earth, we have a chance to bend that arc with optimism and joy. Lessons I Have Learnt | I have learned that courage comes at a cost. It can cost you your job, popularity, sense of security, or even life and limb to speak truth to power or blaze your own path. But it can also give you the meaning of your life – and change the world. Indeed, it’s the only thing that ever has. Performing At My Peak | Sleeping eight hours each night. Working for not more than 90 minutes at a time. Writing at a standing desk. Devoting one hour each day to meditate, stretch, dance, or walk along the sea with my husband and dog, looking for dolphins. The Meaning Of Life | To leave the world a little more just and beautiful than how we found it. The Best Advice I’ve Received | This is your story. It is written. And you are writing it.